Alright friends, 2019 is going to be a seriously gorgeous year! 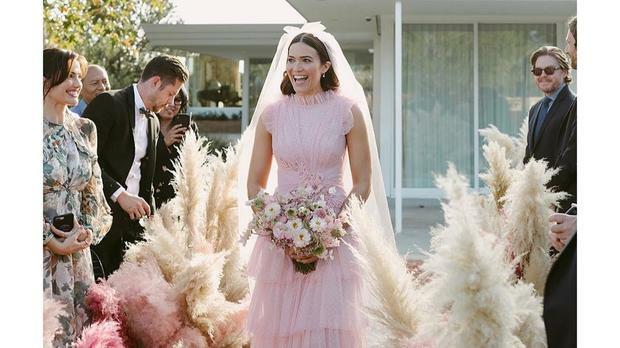 According to various wedding databases, wedding news, and wedding industry media giants like Wedding Wire and Seattle Bride, here are the 2019 wedding trends!! In 2019, we’re going to see a lot more of the Copper and metallic embellishments like plates, silverware, hair pieces, and so much more. We’ve seen a lot of gold lately at weddings, but in 2019, we’re getting cute with copper! You can seriously add copper to anything to make it pop! You can look for save the dates or invites with copper foil embellished in them, you could add some copper bracelets or jewelry accents, silverware on your tables, and a ton more. Copper, to me, is a very classic and neutral color that you can add anywhere to give whatever your decorating more of a sense of depth. More couples are thinking in 2019, “less is more”, so they are thinking less colors, more neutral tones, having less distracting colors and decorations, and just have a simple clean look. These weddings are SO gorgeous when they embellish the florals but keep everything minimalistic, so now they are getting even more trendy. More couples are getting into the ‘deconstructed’ look in their venues and just all around keeping things more simple. We’ve seen this trend come into play at wedding decorating like mixing and matching floral arrangements, centerpieces, etc. 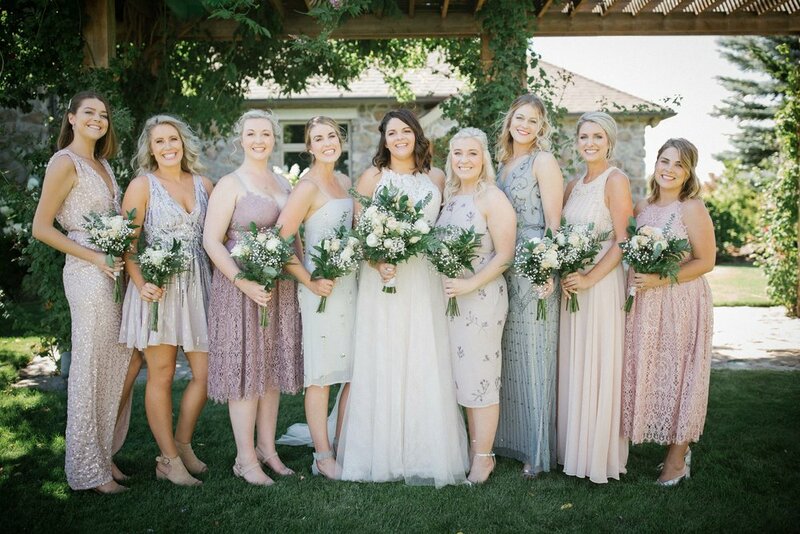 More bridesmaids are wearing mixed colors but fall under the same color tones/ scheme. Couples will be mixing and matching china patterns, difference in height and textures of decorations, ie: candles or centerpieces. 2018 was filled with flower walls and gorgeous botanicals, so 2019 will continue the awesome trend. More greenery, wooden boxes as centerpieces, pampas grass is the most trendy plant lately, and just more dramatic greens. YASSSSS! I literally just bought my new light box for my bridal show booth and I am totally in love with it. In 2017 and 2018, we saw a ton of blackboards for wedding signs and decorations. Well in 2019, apparently light boxes are getting back into style! 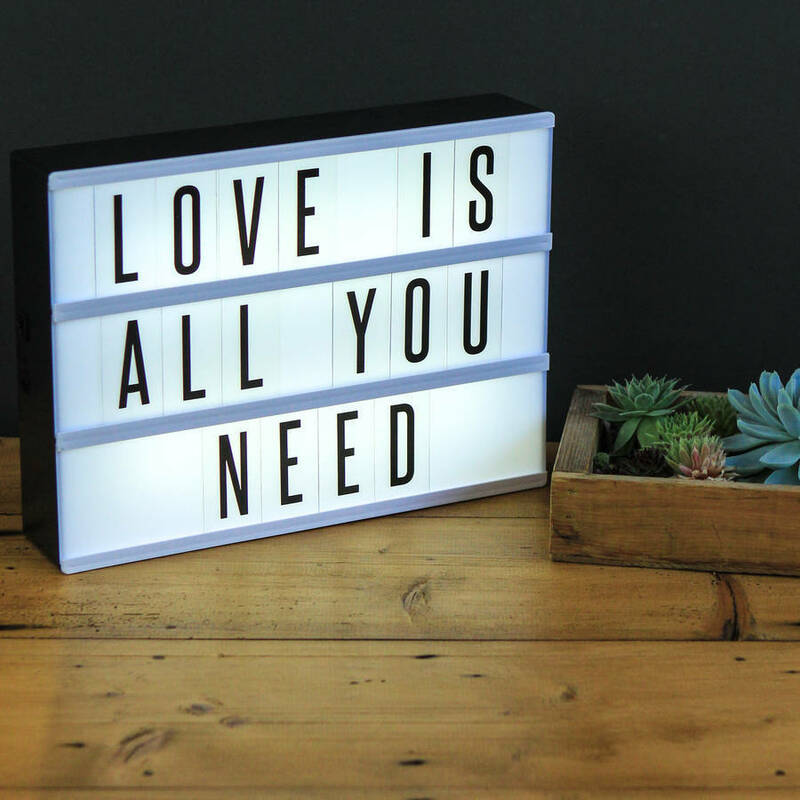 Light boxes also great for extra lighting- so if you’re having a low-lit style wedding, you’ll have another option to have light boxes with cute phrases or your wedding hashtag on it, as a great extra source of light. So there you have it! Some of the biggest and hottest trends of 2019! If you’re in the process of planning your 2019 wedding, I hope these can inspire you to maybe incorporate some of these trends or just give you some ideas in general for wedding decorations. Woohoo! Happy Bridal Banter, friends!